"I love Dr. Kunal's work, I haven't had a better dentist yet." "Great service and amazing people." "I have nothing but the very best to say about this place. Great staff and experience!" "Awesome dental clinic with competent staff. Friendly and professional." "I had a wonderful experience with the treatment. Everyone is friendly and professional." "Very happy with this practice. Good people!" "Excellent service, professional and nice folks that work here." "Dr. Kunal and his clinic is the best clinic I found near Redmond." "Dr. Kunal is awesome! He's the type of person that feels like a friend you already have." "Dr. Kunal has completely changed the over all health of my mouth." "My experience here was nothing short of pain free and amazing!!!" Kunal Narang, DDS is an internationally-trained and highly-specialized endodontist who serves patients at Sunrise Dental of Redmond, Washington. Less than 3% of all dentists have completed the extended training necessary to qualify as an endodontist, who focuses on diagnosing tooth pain and performing procedures relating to the interior of the tooth, such as root canal treatment. Whereas regular dentists might remove a diseased tooth, Dr. Narang can recommend a strategy to save it. With over a decade of experience in general and cosmetic dentistry, Dr. Narang is skilled in many procedures, including root canal therapy, surgical extractions, and dental implants. He received his Doctorate of Dental Sciences from the University of California San Francisco — and met his wife, Megha Anand, a Seattle-area orthodontist. They are active in the community and just recently had their first child. Dr. Narang is a committed professional who enjoys interacting with his patients and helping them, whether they’re visiting for a routine cleaning or are having a complex root canal treatment. Along with the rest of the team at Sunrise Dental, he believes in providing the very highest standard of individual care for his patients from the moment they step into his office. 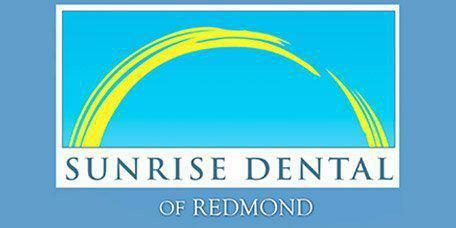 Sunrise Dental of Redmond offers a host of services to patients of all ages. We use state-of-the-art technology and the latest techniques in order to provide you and your family with a comfortable experience. Whether you may need a Pediatric Dentist, Endodontist, Periodontist, or even Orthodontic services - we are your one stop practice for all of your dental needs! Have a dental emergency? Call us immediately. Our office welcomes many types of dental insurance, and our insurance and payment coordinator will be happy to assist you in determining what type of benefits are available to you through your insurance plan. Payment arrangements for account balances are due at the time services are rendered, so please bring your insurance card with you to your first visit. We accept many forms of payment, including cash, checks, and major credit cards. You can also speak with our office administrator about flexible payment options available for major dental services. If you have lingering questions concering the financial aspect of your visit, our office administrators are on-hand during our regular business hours to answer your questions and address your concerns. "My whole family goes to Sunrise dental and we are so happy we found this place. Everyone is so friendly and profesional." "Dr. Kunal and his staff go above and beyond to make sure every time you come in for your visit you are met with the highest level of service." "Meticulous attention to detail, consistent professionalism and refined customer service combine for the most rewarding dental experience imaginable." "He is very professional doctor who gives patient the first priority. The dental treatment here is a very smooth experience and always very comforting." "They are amazing team and exceptional group of people who take the best care of your oral hygiene without gimmicks!" "I've been seeing him for almost three years now, and I'd recommend him and the entirety of his staff to anyone." "They've impressed me every time I've gone in, and they will impress you too. There really shouldn't be any other choice for you."